When the federal court in Sacramento entered judgment in Ananda’s favor on October 20, 1997, it had been a stunning refutation of SRF’s entire case. For a few brief, shining moments justice and truth prevailed. SRF could not allow that, and on November 18, 1997, filed its second appeal. Months earlier, when the Bertolucci case was slouching toward trial in Redwood City, Ananda had retained lawyers from Coudert Brothers to manage the federal case. They now assigned experienced counsel to the matter who took over all aspects of the appeal. Briefs were filed pro and con, and for the next two years we waited again for word from on high. Those interim years were trying and troublesome. We went from victory in one proceeding to defeat in another. The membership had been tried and the legal team tested. The realities of litigation had colored our victory and caused many of us to look deep inside for the strength to continue. Continue we did. During the 1990s copyright law was being applied to religious writings in new and exciting ways. One case we had been following closely arose in Arizona, and concerned the copyright in a collection of aphorisms authored by celestial beings. Around 1911 otherworldly beings began to speak to Chicago psychiatrist Dr. Wil­liam S. Sadler, through a patient of his under hypnosis. The good doctor took it all down and shared these messages with other receptive souls. 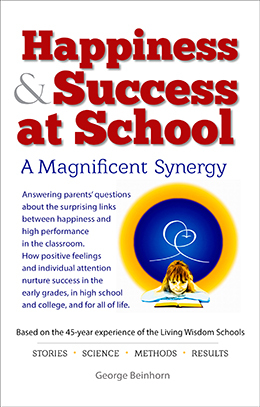 He and several ad­herents formed a series of associations that started putting questions to the be­ings. They gathered and edited the responses, and inscribed them on 2,000 printing plates. Dr. Sadler and the others then organized the Urantia Foundation as an Il­linois charitable trust, which published the papers in 1955 as The Urantia Book. Dr. Sadler registered the copyright that year in his name, and the Foundation renewed it in 1983 as a “work for hire.” In 1990, the year our suit began, Kristen Maaherra started distributing a study guide on disk that included the entire Urantia Book. The Foundation sued that next year alleging copyright infringement. When the Foundation renewed the copyright in 1983 it did so claiming that the book was a “work for hire.” While the work may have been a “composite work,” composed by many people, and entitled to renewal on that ground, it clearly was not a “work for hire.” The celestial beings were in no sense employees, contractors, or hirelings of Dr. Sadler, nor he of the Foundation. As in our case, the Founda­tion had no documents transferring copyright, and had misstated the basis for its copyright renewal. We first took notice of the Urantia case when it helped us. But the tide turned on June 10, 1997, when the Ninth Circuit Court of Appeal issued its opinion in Urantia Foundation v. Maaherra. In a decision written by Judge Schroeder, the ap­peals court reversed the trial judge, and held that a common law trademark could be transferred without necessarily complying with any formal requirements. Indeed, the mere possession of the original documents could be used as evidence to show that the author meant that whoever held the documents held the copyright. This was a sea change in the law, cresting just in time for SRF’s second appeal. The Golden Lotus Temple crowned the cliff’s edge at Encinitas, a hundred feet above the blue Pacific. Gleaming white against the sky and sea, the temple’s flat roof supported three golden lotus blossoms towering above the entrance façade. The blue tile altar overlooked the ocean, with octagon windows rising another thirty feet above. Rajarshi gave the Dream Hermitage and its seventeen acres to Yogananda as a homecoming present in December 1936. Yogananda immediately envisioned a Temple of All Religions overlooking the limitless sea. The project was “conceived and designed by Swami Yogananda, who minutely supervised all the building operations.” SRF’s East-West Magazine touted it as “the most beautiful and unusual temple ever built by a Hindu in the Western world.” On January 2, 1938, just thirteen months after first seeing the site, Yogananda dedicated the new Golden Lotus Temple. The Temple became the showplace for all major occasions, such as Brahmachari Jotin’s initiation into the monastic order as Swami Premananda. C. Richard Wright wrote in December 1937 that “the entire structure is mirrored like a lovely dream in a large pool by the side of the Temple. Palms, olive and other stately trees and rare plants beautify the grounds. . . . Never have such large gold lotuses been used on any other temple. Their sparkling glint in the sun is visible for miles around.” Pride, they say, goes before a fall. The Dream Hermitage residents awoke early on the morning of July 22, 1942, to the sound of cracking timbers and breaking glass. Yogananda and the members living in the hermitage jumped out of bed and raced over to the cliff, still crumbling under the building’s edifice, the altar tilting forward, the windows cracking then bursting one after another, raining towards the dark beach below. It slid slowly at first, and the staff was able to retrieve the precious statues and other items that could safely be removed. Yoga­nanda initially intended to conduct Sunday services at the temple four days later, but was persuaded the risk was too great, as the cliff continued to give way. Over the next weeks the temple slid in noisy jolts down the cliff, becoming one with the all-embracing sea below. In a letter written late in life, Yogananda told Rajarshi that he had under­gone five “crucifixions” in America, the Golden Lotus Temple being the last. Events did not always work out the way Yogananda first thought they would, but he did not give up. The Golden Lotus would be replaced the following year by a new temple in San Diego, thanks to Rajarshi’s continuing generosity. When the Ninth Circuit heard the second appeal, our panel included Judge Schroeder, the author of the Urantia decision. The vagaries of the law, and the luck of the draw, were undercutting our beautiful arguments. But trough or crest, we pressed forward. The Urantia opinion concerned us more than we let on. The Foundation had received an “informal assignment of common law copyrights” to the Urantia Book, in the same way SRF claimed it had received the copyrights to Yogananda’s un­published writings. The appellate court now said the Foundation could enforce that informal assignment. If the Foundation could enforce its informally assigned copyright, why not SRF? There were many similarities between the cases, and the decision opined that “mere possession of the printing plates . . . may have been suf­ficient to establish an assignment as against a third party . . . who does not claim any superior copyright interest.” SRF’s mere possession of Yogananda’s original manu­scripts, typescripts, and notes might be sufficient in itself to show that SRF held the copyright. Moreover, after Urantia we might not be able to survive a motion for summary adjudication, unless we had some kind of “superior copyright interest.” To stay in the game, we needed our own legitimate claim to the works that was ar­guably “superior” to SRF’s naked possession of original documents. We were already on it. Five years earlier, soon after Garcia’s first copyright rul­ing, Ananda had set out to obtain licenses from Yogananda’s heirs. If it turned out that SRF did not own Yogananda’s common law copyrights, and no will decreed otherwise, those rights would have passed to Yogananda’s heirs. Yogananda was a monastic, had never married and had no children, meaning the property should have passed to his siblings, cousins, and the like back in India. If the common law rights were in his estate when he died, then many heirs may each own some small portion of them now. If the heirs would license their rights to Ananda, we would have legitimate claims to the works that might actually trump the happenstance of SRF’s possession of manuscripts. There were a couple of tricky questions about California’s intestacy law back in 1952, some issues about the international impli­cations of the assignments, and practical problems of making it happen, but we thought we were on to something. Ananda assembled a comprehensive chart of each known living person who should have received a portion of Yogananda’s intestate estate. Now it was merely a matter of contacting each one of them, and asking if they would be kind enough to license their possible rights in Yogananda’s writings to Ananda. We decided to request that each heir grant Ananda a perpetual, royalty-free, non-exclusive license to quote from and otherwise use any common law writings. This license would not interfere with the heirs doing whatever else they wanted with their rights. They could license them to SRF too if they wanted. We anticipated that most of these heirs knew nothing about the SRF case, and needed to be brought up to speed on the litigation. 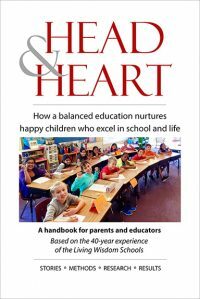 They needed to be told that they might have unknowingly inherited some fraction of Yogananda’s rights in some English writings. We should not overstate the likelihood of their rights, nor mini­mize them in the event they later become valuable. Disclosures were prepared, li­censes drafted, and Vidura put in charge. He and his wife, Durga, were well known to Yogananda’s Indian relatives because they had led many of Ananda’s annual pil­grimages to sites associated with Yogananda’s life in India. Vidura started making phone calls, and several weeks later boarded a plane to India with a briefcase full of documents. Ananda obtained written assignments from three of Yogananda’s heirs. Not many, but enough for Ananda to stake some legitimate claim to use of Yogananda’s writings. These forward-looking actions in 1992-93 gave us some comfort in 1998, when the Urantia decision came down. For at that point Ananda held a legitimate claim to a possibly “superior copyright interest,” as the Urantia decision now re­quired. Had the second appeal not revived SRF’s common law assignment, Ananda would have clinched that superior interest, giving Ananda rights in all of Yoga­nanda’s unpublished works. And it was nice to see that people were willing to help. February 2000 found us again in San Francisco’s Federal Building. Our panel of appeal judges this time consisted of Mary M. Schroeder, together with John T. Noonan, and A. Wallace Tashima. Glenn Trost out of Coudert’s Los Angeles of­fice had written the brief and flown up to argue the case. The matter was submitted that same day, and a decision issued just five weeks later, on March 23, 2000. Like its sister opinion of five years before, it is published in the official reports and can now be found in every law library and on the web as Self-Realization Fellowship Church v. Ananda Church of Self-Realization (9th Cir. 2000) 206 F.3d 1322. Given the relative dearth of lawsuits and decisions on these issues, it also has become a “leading case” on copyright disputes between churches under the 1909 Act. “The most important [issues] are whether the works of a religious leader, living under a vow of poverty in the church he founded, can be considered “works for hire” or the works of a “corporate body” within the meaning of the 1909 Copyright Act and, in the alternative, wheth­er SRF has adduced evidence from which a jury could conclude that a valid assignment of common law copyrights occurred. The Ninth Circuit’s decision on whether Yogananda informally assigned his copyrights to SRF was less felicitous. 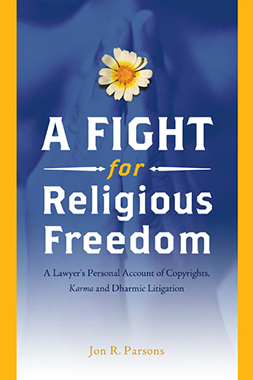 We were told that SRF’s copyrights could be valid if, before a work’s first publication, Yogananda had in any way, formally or otherwise, assigned his common law rights to SRF. These common law assignments did not have to be in writing, and could be shown by oral statements, or even actions that merely implied an assignment, “without the necessity of observing any formali­ties.” Schroeder concluded that, “The 1935 assignment is not dispositive as to Yoga­nanda’s writings after 1935, but it is relevant to this factual issue. While a jury may conclude that on balance the evidence demonstrates that Yogananda had no intent to transfer to SRF his common law copyrights, at the summary judgment stage, a district court is entitled neither to assess the weight of the conflicting evidence nor to make credibility determinations.” So it came down to Yogananda’s intentions, fifty years earlier, and a jury of strangers would have to decide what Yogananda meant. Yogananda had published three of his major works in serialized form: the “Sec­ond Coming of Christ,” the “Spiritual Interpretation of the Bhagavad Gita,” and “The Rubaiyat of Omar Khayyam.” Most of these serialized works were now once again in play. The question of the ownership of the magazine articles were also being returned to Garcia so a jury could determine whether Yogananda had infor­mally given these rights to SRF as well. For the same reason the Judges also reversed Garcia on the sound recordings. The 1909 Act did not cover new-fangled sound recordings, and SRF’s rights in recordings of Yogananda’s talks arose under California law. 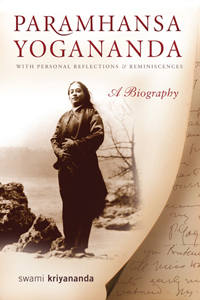 Garcia had correctly decided that Yogananda did not make the recorded talks as works for hire or as part of a corporate body. But because Yogananda might have informally assigned these rights to SRF as well, these too would be decided by the jury. The Ninth Circuit reminded Garcia that for purposes of summary adjudica­tion, he had to believe her declaration. And her declaration, true or not, was enough to send those four photos back to trial. The decision in the second appeal was another victory, but a more limited one, and meant we must return to Sacramento for the trial we had hoped to avoid. It tantalized us with the prospect that the “jury may conclude that . . . Yogananda had no intent to transfer to SRF his common law copyrights.” Now we would find out. The appeal court’s affirmation of Garcia’s rulings must have appeared to SRF as writing on the wall. If the original works became public they would soon refute SRF’s claim of “purity,” and show instead its years of textual manipulation. SRF immediately asked the three-judge panel to rehear the case, and should they de­cline, SRF wanted a full review by the assembled circuit Judges in the rarely used “en banc” process. An “en banc” rehearing occurs when an appellant asks all of the judges on the Ninth Circuit Court of Appeal to reconsider what a three-judge pan­el has decided. If a sufficient number of judges vote to hear the matter, a panel of eleven judges is chosen at random to hear arguments and reconsider the ruling. It seems the Judges were satisfied with the decision as issued, however, and did not respond to SRF’s request. Undaunted, SRF petitioned the U.S. Supreme Court. The Supremes might yet set things right. But SRF faced a huge hurdle. Unlike that first appeal from the trial court, to which every party is entitled, you must petition the Supreme Court to grant you a “writ of certiorari” before they will take your case. That writ is the hall­way pass that gets you to the courtroom where they will consider the merits of an appeal. Sometimes they grant a writ concerning only the issues that interest them, but usually they do nothing. Less than five percent of writ petitions are granted.